One of the more useful things about Gravity Forms is the Add Ons that are available when you pay for the plugin, and one of the most useful add ons is the Gravity Forms MailChimp Add-On. It’s available at all subscription levels, which is fantastic. Connecting Gravity forms and MailChimp lets you use all of Gravity Forms’ power and lets you seamlessly integrate your forms with MailChimp. 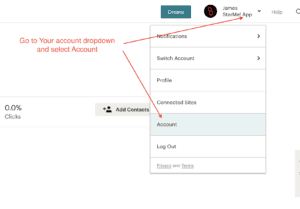 This post will go through the steps and describe what you need to do to connect Gravity Forms and Mail Chimp. We will need to touch on some aspects of email marketing and how Mail Chimp does things, but we won’t get into too much detail about it, we will discuss it in more detail in a future post. The first step is to add the Gravity Forms MailChimp Add-On. To do this, go to Add Ons in the Gravity Forms menu, scroll down about half way until you see the MailChimp card. Click Install and follow the instructions. 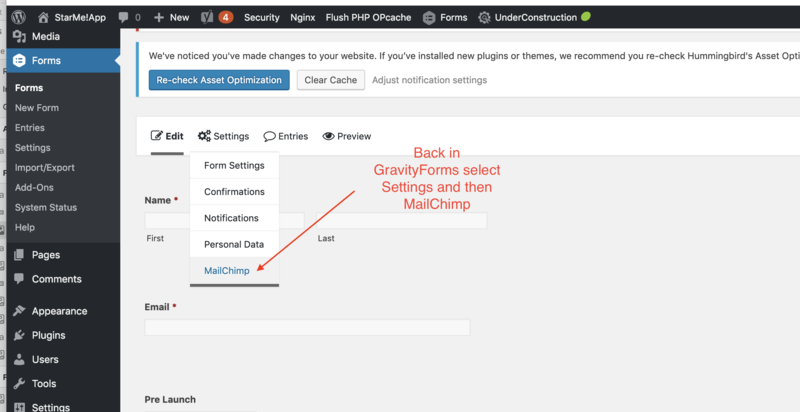 Once the Gravity Forms MailChimp Add-On is installed and activated, go to Settings in the Gravity Forms menu. A principle followed by Gravity Forms and many other well-made plugins is to set global connections in the plugin settings screen. Gravity Forms does this with MailChimp. In Settings, you will add the MailChimp API key. To get the API key, you will need to jump over to MailChimp. There’s a handy link in the Gravity Forms settings screen that makes this easy. 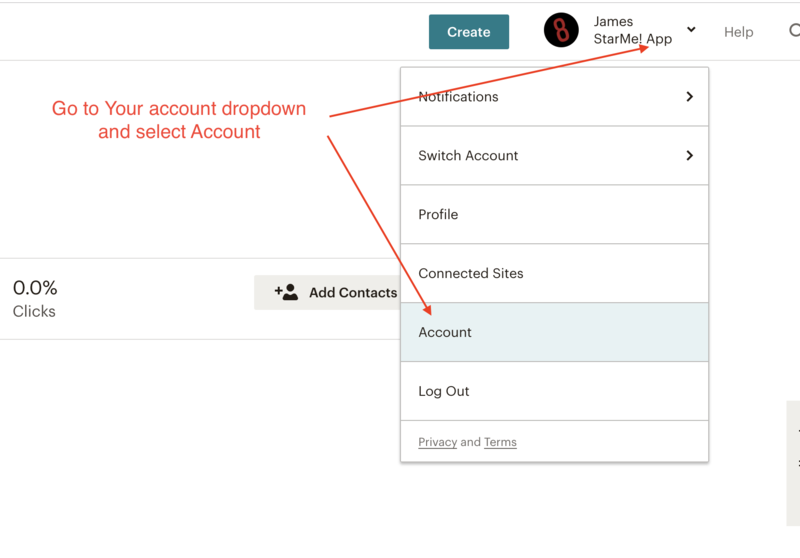 Over in MailChimp, open your account settings from the Account dropdown menu. This will give you a new dashboard with several menu choices. Select Extras and then select API keys. Click the button to Create a Key and then copy your new API key. 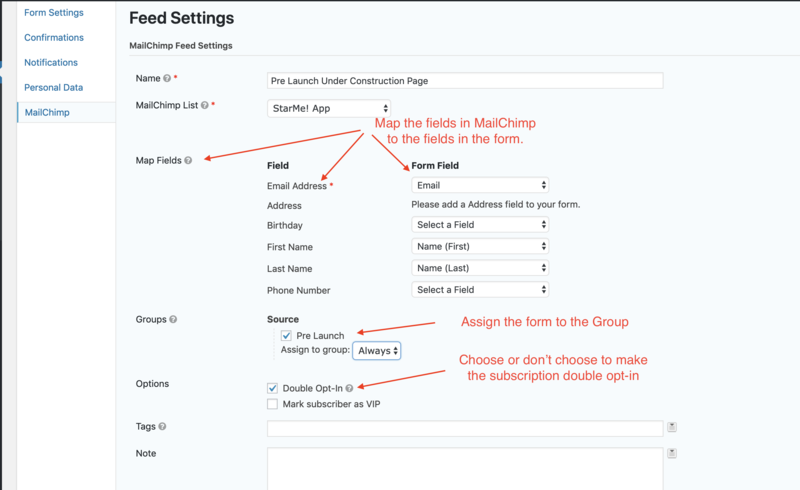 Head back to Gravity Forms and past the API key in the field labeled MailChimp API Key. Click Update Settings and look for a green check mark. This tells you that your website and more specifically, Gravity Forms, is connected to your MailChimp account. MailChimp wants you to only have and use one list. They do this for many good reasons. The main one is that it will save you money. Multiple lists mean there is a good chance you will have duplicates. MailChimp charges for the number of records in your list, if you have duplicates you will be paying for each record more than once. To help manage your list, MailChimp uses Groups. A record can be in multiple Groups. You can use groups to create segments and use segments for targeting email campaigns and email automation. This is a whole topic, something that we’ll go into in another post. 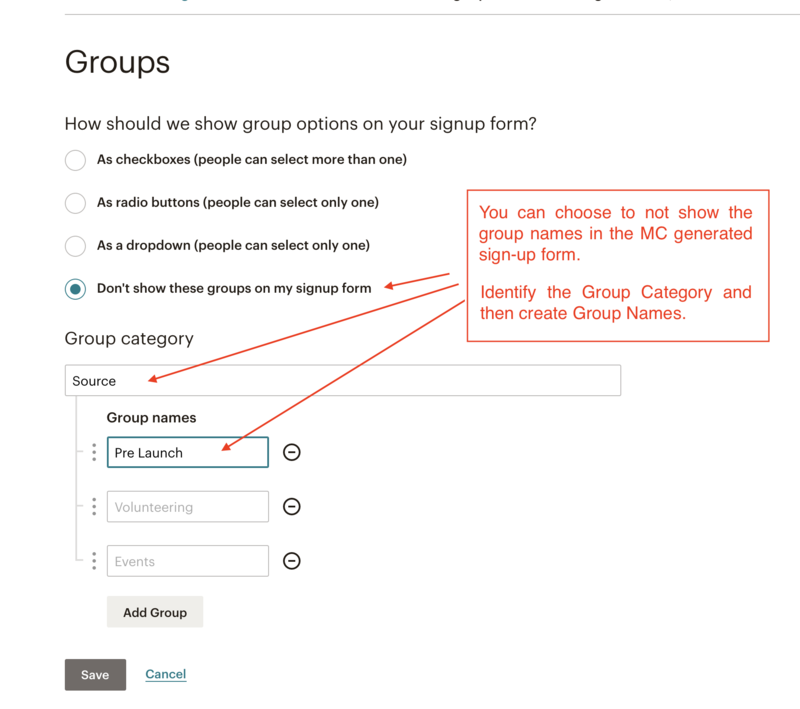 For now, Chris Lema has a video overview of MailChimp Groups in his post: Using Gravity Forms and MailChimp to give my readers more choice. Go back to MailChimp, leave the Account dashboard, select or create your list, and look for Groups under Manage Contacts. Select Create a Group, and you will be sown a screen with a number of options. 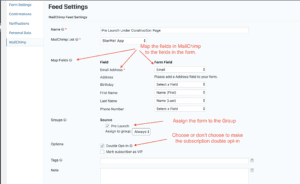 You need to create a group in MailChimp for the contacts generated by the form before connecting a specific form to your MailChimp account. The radio buttons are there for MailChimp generated forms so not important to you. I usually select the last one, “Don’t show these groups in my Signup Form.” You want to think about how your groups are organized. Since this is for forms on your website, I usually call the group category Source and then use the form name for the group names. You can use this approach or another one that works for you, but be consistent and try to make the labels self-explanatory. You will thank me later. Now that we have Gravity Forms and MailChimp connected globally, and we’ve created a Group in the MailChimp List, it’s time to join a form to MailChimp. 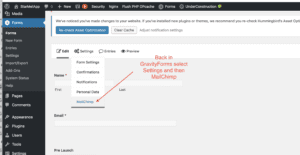 In Gravity Forms, select or create a form, and under Settings look for MailChimp. In the MailChimp settings screen, you will create a new feed to connect this form to your MailChimp list. Make the appropriate selections, and you are good to go, you have now connected your form to MailChimp, and in addition to being stored in the Gravity Forms database, contacts will be automatically transferred over to MailChimp and placed in the appropriate group. That’s it. That’s all there is to this integration.